The Fast Lane Quartz Jersey takes Assos' renowned short-sleeve jersey platform and applies a fresh geometric artwork by NYC-based designer Luis Fernandez. 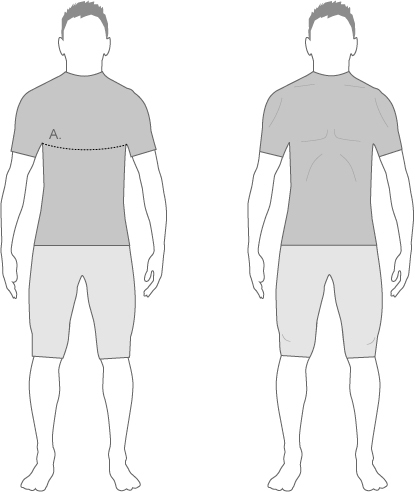 The regularFit pattern also makes it a great jersey for all shapes and sizes. The Fast Lane Quartz Jersey is body-mapped to fit beautifully, with a regularFit pattern that allows plenty of freedom of movement and impressive comfort. This comfortable fit is paired with a lightweight and fast-drying double yarn textile that does an incredible job of wicking away moisture to leave you perfectly dry, whilst also being sun-protective and odour resistant. A slim front zipper makes for easy on/off and adds a simple way to control ventilation on hotter days. With the usual Assos attention to detail and fit, plus a pop of ice-cool colour and an eye-catching design, the Fast Lane Quartz Jersey gives you the very best all-round performance and a look that stands out from the crowd.